Are you tired of sleeping alone? Do your loved ones rely on closed doors and earplugs to help them rest peacefully through the night? 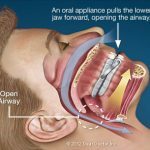 If you are losing sleep because of your snoring, or if you are keeping your loved ones up at night with choking and gasping sounds, you may have sleep apnea. 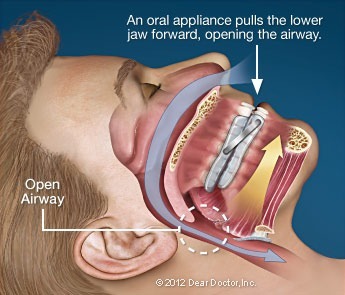 Sleep apnea is a potentially debilitating condition characterized by shallow or infrequent breathing during sleep. 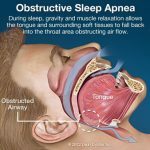 Sleep apnea occurs when the muscles supporting the soft palate relax, allowing the airway to narrow and close as you breathe in. It causes sufferers to snore loudly, choke, and gasp during sleep, leaving them (and those closest to them) feeling exhausted during the day. Conditions that have been linked to sleep apnea include high blood pressure, cardiovascular disease, and impaired concentration. Though it has the potential to be debilitating, at AV Sierra Dental Center, Palmdale dentists Drs. Oh and Couto has effective treatments that will put an end to your lonely nights and weary days. At our Palmdale dental office, Drs. Oh and Couto address sleep apnea symptoms and snoring with a removable, oral sleep apnea appliance (similar to a mouthpiece) that stabilizes the tongue and repositions the jaw. This allows for normal mouth opening and closing, as well as normal airflow, giving you immediate relief from sleep apnea symptoms. Though the CPAP (continuous positive airway pressure) device is the gold standard for treating mild to severe sleep apnea, our treatment is far less invasive and is ideal for patients who can’t tolerate the CPAP or who suffer from mild sleep apnea. Oral appliances are easy to use and require little to no change in your lifestyle. If I snore, does that mean I have sleep apnea? Not everyone who snores has sleep apnea. Snoring that is not associated with sleep apnea does not result in extreme fatigue. 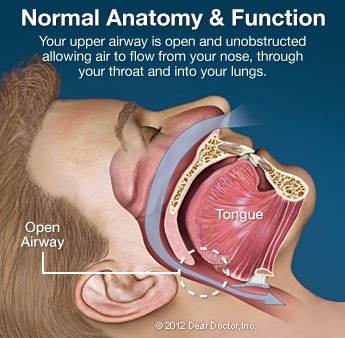 What are common signs of sleep apnea? Loud snoring and long pauses between breaths while sleeping are the most recognizable signs of sleep apnea. Do I have to sleep with a machine if I have sleep apnea? Oral appliances are an effective alternative to the CPAP device, which can be very disruptive and uncomfortable for both the individual suffering from sleep apnea as well as their partner. If you think you may be suffering from sleep apnea, call 661.202.3542 today to learn how AV Sierra Dental Center can end your family’s fatigue.